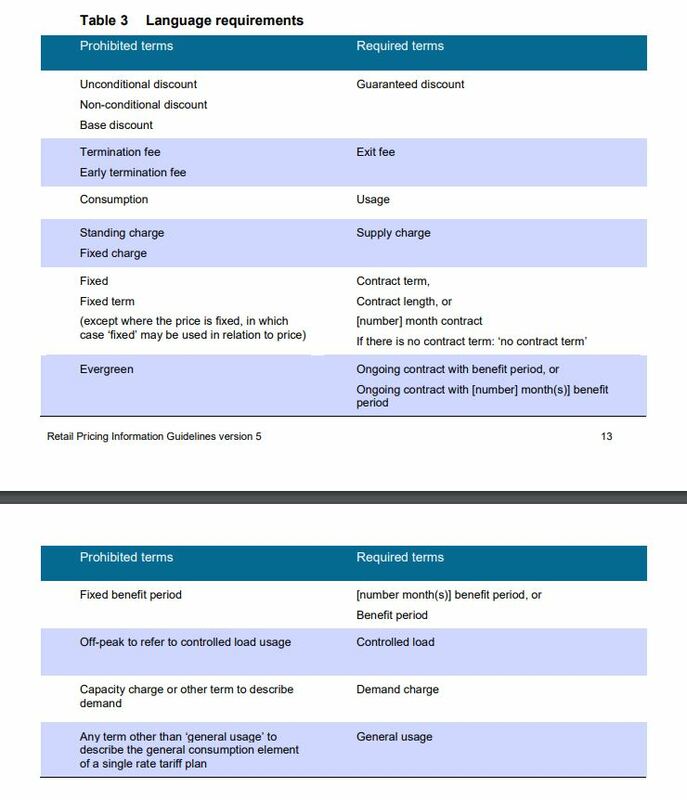 The Australian Energy Regulator (AER) has released new Retail Pricing Information Guidelines (the new Guidelines) which commence on 31 August 2018. 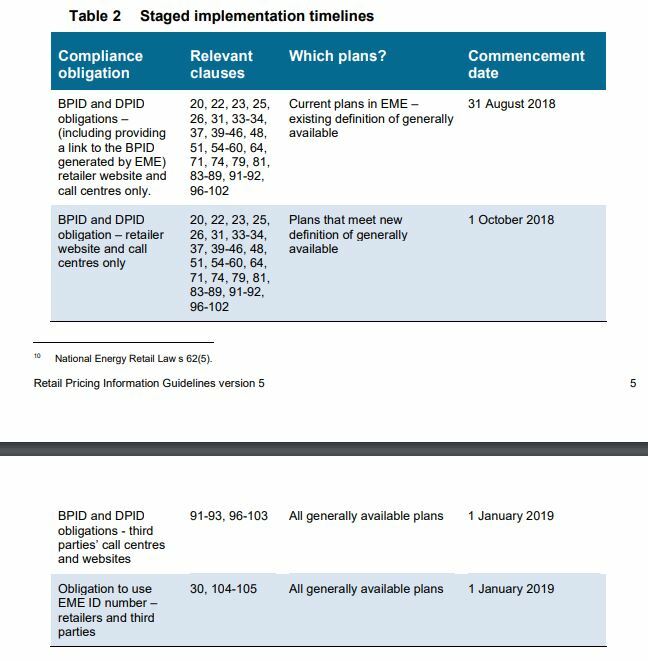 A number of key changes have been introduced in the new Guidelines including the replacement of the Energy Price Fact Sheet. clarifying the definition of generally available plans. Source: News item AER, AER releases final Retail Pricing Information Guidelines (version 5.0) and Notice of Final Instrument. Energy Price Fact Sheets will be replaced by Plan information documents which must be provided to the Energy Made Easy website. The plan documents will be automatically generated in the retailer secure area of Energy Made Easy after the relevant data and information have been submitted. The plans must be submitted within two business days of the plan being offered to customers. Each plan will have a unique reference code or plan ID which is generated by Energy Made Easy. The Key Plan information which must be provided is contained in ss 31 to 64 and covers such information as price, discounts, incentives, fees and eligibility requirements. There are two types of plan information documents which retailers must have; the first is the Basic Plan Information Document (BPID) and the second is the Detailed Plan Information Document (DPID). Retailers are required to have a BPID for every plan, including restricted plans (cl 79 of the new Guidelines). What are generally available plans? ‘Generally available plan means any plan that is available to any customer in the relevant distribution zone unless it is classified as a restricted plan’. There are different requirements for the display of the plan information depending upon whether it is a generally available plan ( cl 81-82) or a restricted plan ( cl 83-89). There are also requirements for online sign up (cl 90-92), in-person marketing activity (cl 93-94) and other marketing activities such as telemarketing or internet sales channels (cl 95-98). The in-person marketing activity and other marketing requirements will apply whether the retailer conducts the marketing themselves or uses a third party vendor. a requirement to refer to plan ID in communication with customers (cl 104-105. 15% guaranteed discount off usage charges’ and, in fine print ‘Discount is off our standing offer plan charges. This information is available at www.sunenergy.com.au/standingplancharges’. 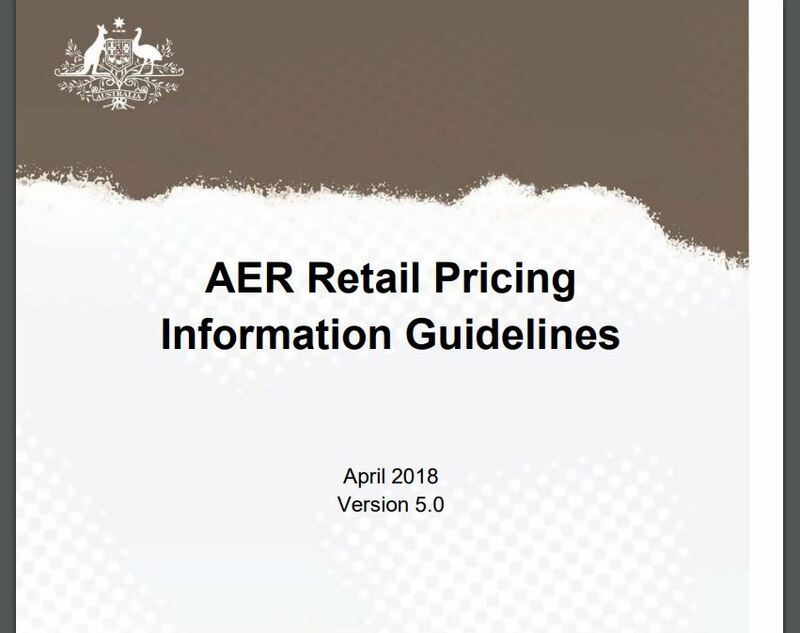 Further information is available on the AER website at Retail Pricing Information Guidelines 2018. Should you wish to discuss any aspect of this article with the team, please click here.